How is it possible to forget to load your shotgun? Maybe if you’ve got hundreds of opportunities a day at Mexican whitetail doves, but not when you usually only have one shot at success. Sometimes only one shot a year! Did I mention this was my first ever turkey hunt? I had watched a few videos, geared up, and gone hunting. At the time, I doubt I’d ever heard the terms “gobbler” or “longbeard.” About 30 minutes post-hunt, my buddy asked if I needed to go to the Emergency Room. I was still having trouble making sense. I was coming close to hyperventilating. The adrenaline rush was unforgettable! 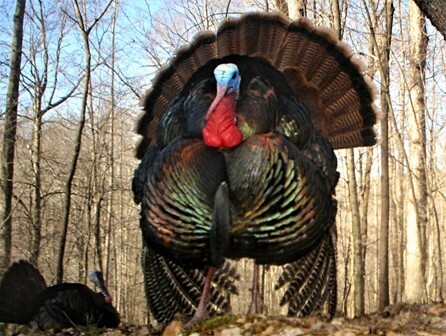 In my first ten minutes of turkey hunting, I had two toms gobbling their heads off and then drumming in my ear. So obviously, turkeys are stupid birds. And I am a natural-born turkey hunter. Or both. I immediately went out and spent a ton of money on new hunting gear. About seven years and ten minutes of hard hunting later, I finally called in my next turkey. That’s just what the turkey gods do. They pull you in with blind luck and make you spend money and sleepless nights chasing the adrenaline rush you got from a “stupid bird.” If I hadn’t gotten so cocky about it, maybe the hunting gods would have showed mercy. And my buddy has never let me live it down. Almost the same scenario happened with fly fishing. I borrowed a friend’s rod and smacked at the water a few times before hooking up with a 3½ pound smallmouth bass. Tens of thousands of casts and dollars later, I have yet to catch my second three-pound smallmouth. The fishing gods once again decided to teach me a little something about humility. I was over the top successful on one of my first whitetail hunts, too. The same turkey hunting buddy and I had been sighting in muzzleloaders earlier on that hot day. As I cluelessly trekked into the woods reeking of sweat and gunpowder, I spooked six does. I figured my afternoon was over, but I scurried up a tree near where the does had been and hoped they would return. I was dialed in on a funny noise that sounded sort of like rain when a six-pointer walked in. I wasn’t sure if I should shoot, but I drew my bow anyway. As I got him in my sights, a much bigger 8-pointer walked directly into the shooting lane to scare off the youngster. He stopped right where I was aiming, so I shot. When I got down to claim my gorgeous Pope and Young buck, I realized the rain noise was actually acorns dropping from the huge white oak tree I hadn’t noticed was right in front of me. That’s why all the does had been there, and I didn’t put all of this together until many years later. I’ll never live that one down. So here we are in turkey season. If you’re clueless like I was, don’t be afraid to charge ahead and have some fun. Perhaps the hunting gods will allow that beginner’s magic to happen. But if it does, don’t get cocky. The hunting gods will immediately put you in your place. And you’ll never live it down!